For first class service from start to finish. Sitting on a magnificent 1 acre (approx.) wooded lot down a long driveway is this beautiful ranch style bungalow in a secluded position within the Niagara Escarpment Conservation Area of Bevan Heights. This spacious and solidly built home with walk-out basement has been in the same family for almost 50 years and with some internal updating, could easily be turned into your dream home. This well built home has newer windows, shingles and has a back up generator. Rooms are spacious and there are sweeping views of the large lot. Three bedrooms including master suite with direct access to a large balcony. There is an oversized 23 X 25 double garage and lots of parking for 10 vehicles. 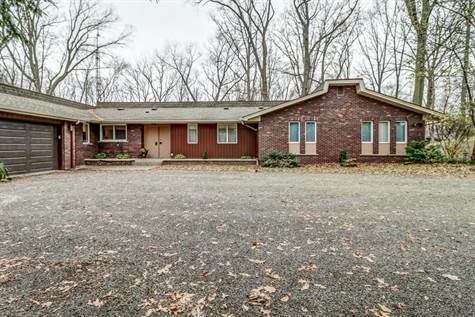 All in all, a great and solid family home with tons of potential! ©2009-2019 Realty Executives Plus Ltd.